Summer 2014 and there’s a lot of remembrance going on for both WWI and WWII. 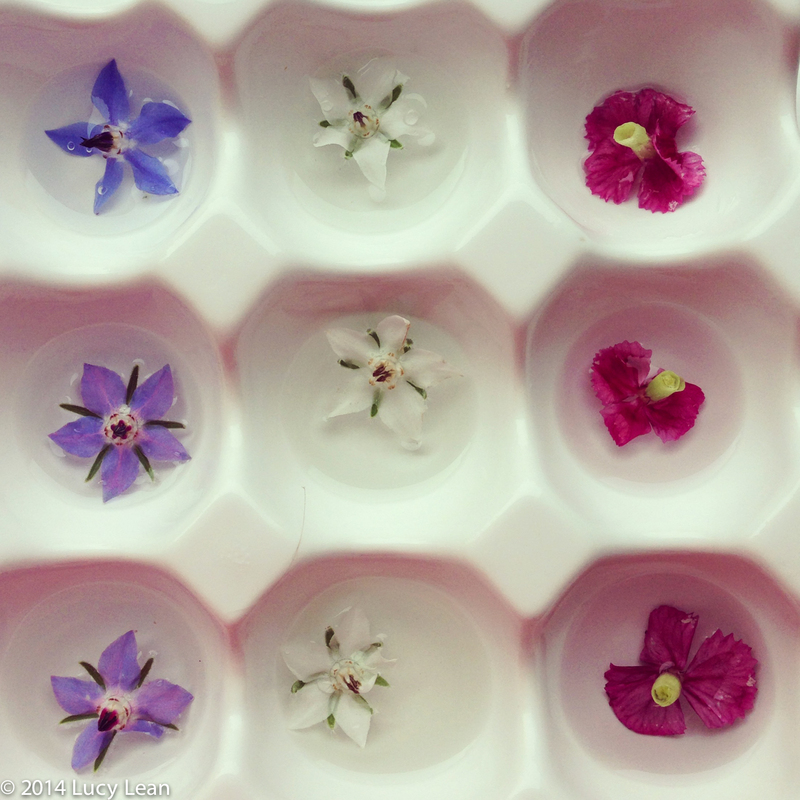 To commemorate D-Day on June 6th – 70 years since the Normandy Landings we made special red, white and blue flower ice. We have been experimenting a lot with ice these last few days and will continue to do so as we go through the summer. These pretty ice spheres will be perfect for the opening of Wimbledon in a few days time, for those of us in America they would be great for July 4th cocktails and any other red white and blue patriotic occasions – but I’m thinking I will return to them for the centenary of the out break of World War One on June 28th, which marks 100 years since Austria’s Archduke Franz Ferdinand was assassinated. 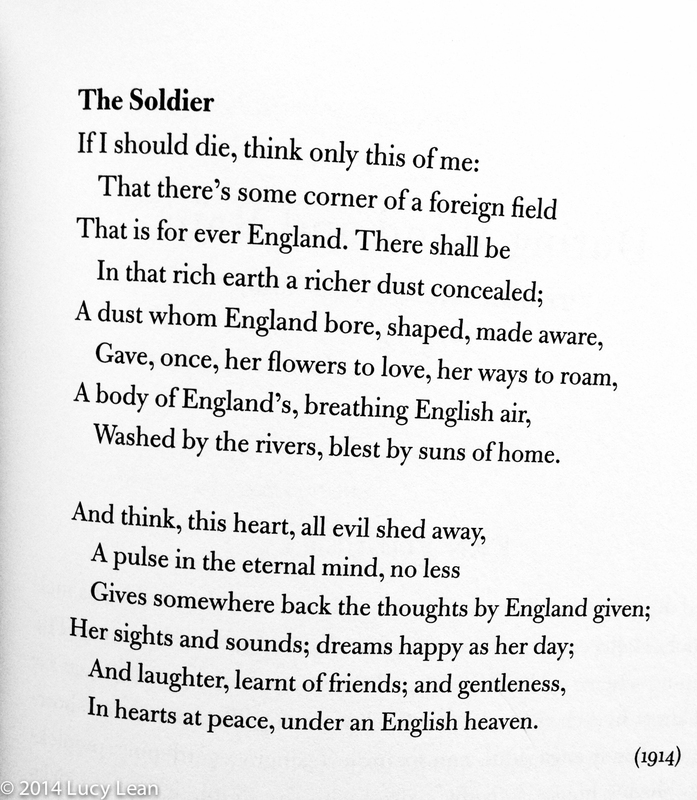 July 28th 2014 is the centenary of the outbreak of the First World War and sees a host of events taking place to honor the almost one million brave British soldiers who gave their lives, mostly in the trenches of Northern France. We will never know the final death toll but it is estimated at around 10 million worldwide with 20 million wounded. I have been particularly captivated by The Royal British Legion’s beautiful Poppy Cufflinks and Centenerary lapel pin. They commissioned the design and creation to help us remember those who lost their lives in the First World War. 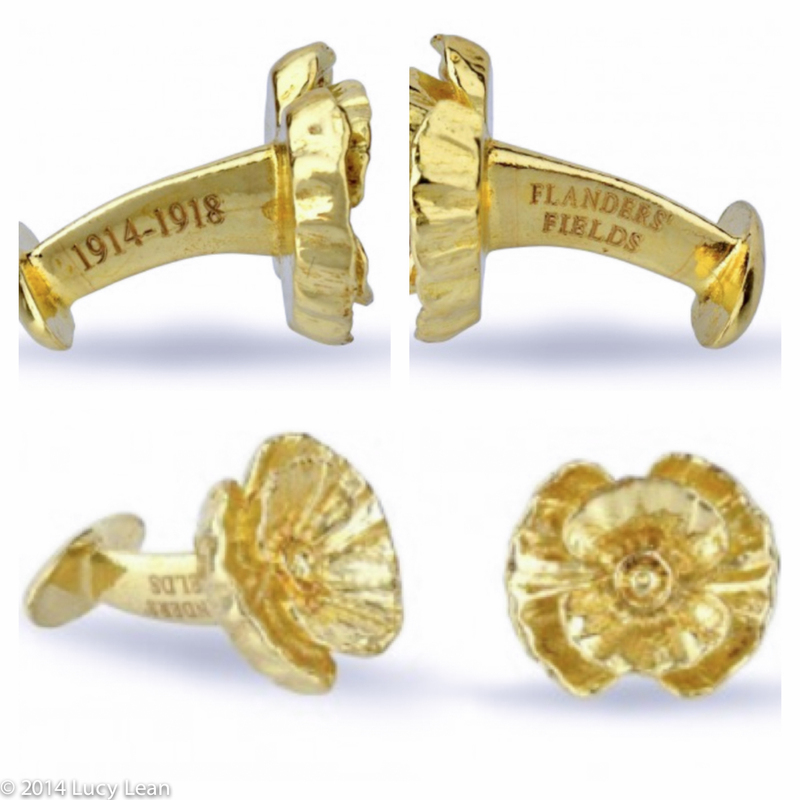 The unique and exclusive Centenary Flanders Fields Poppy Cufflinks and Centenerary lapel pin have been created from the solid brass of original artillery shell fuses found on First World War battlefields. [Just stop and think about that for a second – 100 year old metal from the battlefields of WWI melted down to remind us to never forget]. The shells have been melted down and cast, using the traditional ‘lost wax’ method in which each and every poppy requires a wax version, into a hand sculpted poppy design. I received my order a couple of days ago and wept as I opened them and read the story behind these exquisite memorials. The design is based on a 100 year old dried and flattened real poppy from Private Len Smith’s diary – Private Smith, a veteran who lived until 1974, plucked the poppy from No Man’s Land in 1915 and preserved it in his illustrated diary. Each pin is accompanied by a certificate of provenance and presented in a high quality case, with all income raised from sales going directly to The Royal British Legion to support British Armed Forces and their families, past, present and future. The Flanders Fields Poppys have been lovingly crafted by TMB Art Metal of London from an original sculpture created by Stephen Allen. You will need a selection of edible flowers. 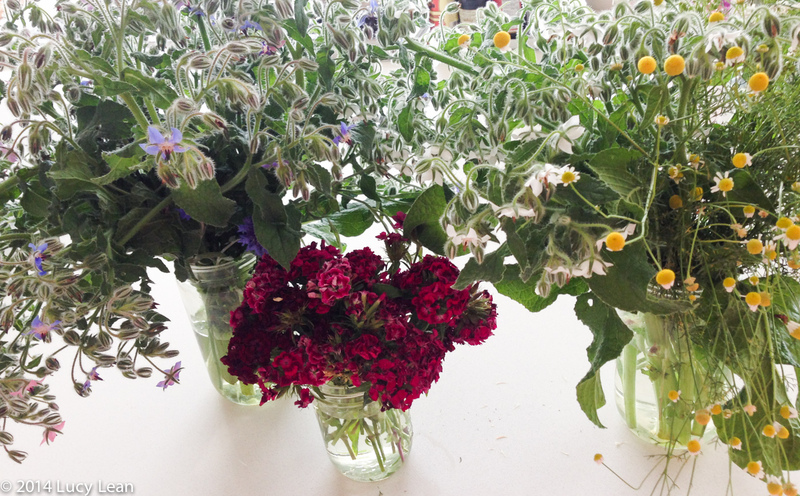 I used borage flowers for the blue and the white and sweet Williams for the red from Silver Lake Farms. I also used coriander flowers, cornflowers and chamomile flowers. An egg holder sufficed as the makeshift ice-tray if you are like me and have a refrigerator that churns out ready made ice. For the clearest ice double boil the water and let cool before pouring over the flowers in the ice tray. 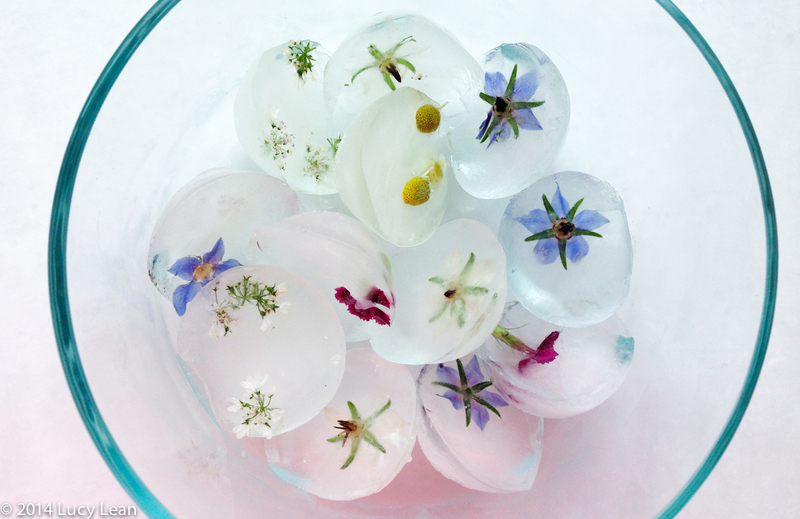 If you want the flowers to be in the center of the ice you can put a little water in the bottom of the ice tray, add the flowers and then top it up once the flowers are frozen in place – otherwise the flowers will float. Use in iced tea, cocktails, water – in fact any thirst quenching beverage this summer.